As I write this, I’m enjoying the spectacular weather in sunny southern California. Nothing beats 78 degrees and breezy at the end of October, but as you probably know, California isn’t a very budget-friendly destination. Even a campground will set you back as much as $35 per night! Most brand-name hotels in the downtown areas of cities start around $200 per night, which is strictly unaffordable for the average Seat 31B traveler. Many travel blogs encourage you to play elaborate points games in order to stay in expensive hotels. Even if you do this, you’ll still end up spending as much as $100 per night. You have to consider the cost of credit card annual fees, the opportunity cost versus earning other types of points, and the taxes you have to pay (which are often billed based on the retail cost of the room). “Free” isn’t really free when it comes to this stuff. Alternatively, you can look at lower cost options. California is the world’s seventh largest economy, and it’s well known for having unique local businesses. 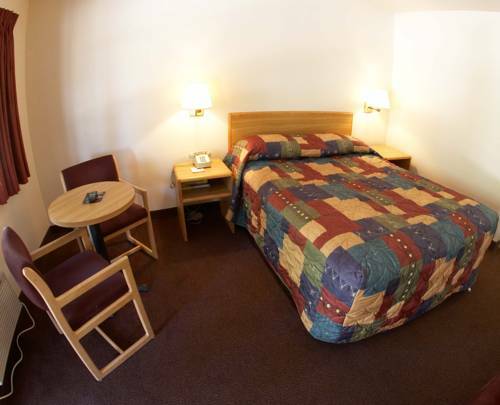 In addition to famous local fast food chains (such as In-N-Out Burger), there are three local motel chains offering clean, comfortable and decidedly budget-friendly rooms throughout California. I’d like to introduce you to Good Nite Inn, EZ-8 and Premier Inns. Good Nite Inn has locations throughout California, and often advertises in coupon books that you can pick up at rest areas and Denny’s restaurant locations throughout the state. These coupons will almost always save you money. It’s worth picking up the book. They also occasionally have deals on their Web site. 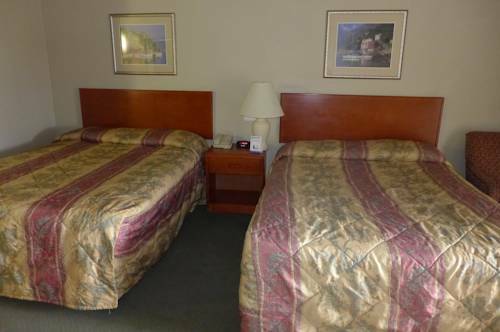 You’ll usually pay about the same price for two people as you would for a single room at Motel 6, and you’ll usually find a Good Nite Inn near a Motel 6 location (in Sylmar, there is a Motel 6 next door). Rooms typically look like they are from the mid-1990s, with a tube television and funky carpet. However, the beds tend to be comfortable, everything works, rooms are somewhat clean and there is air conditioning. Like Motel 6, Internet service isn’t available at all locations and it’s not free if it is available. Coin laundry facilities are typically available on site and there is an ice machine available as well. Motel 6 locations fill up fast (being some of the only reasonably priced accommodations in many parts of California), so Good Nite Inn is a good alternative. EZ-8 Motels and Premier Inns are another good alternative. They don’t advertise at all, have no coupon specials, and they only offer a small AAA discount. Their Web page pretty much says as much. As well, these motels are typically located a little off the beaten path. In the Bay Area, you won’t be staying in the center of San Francisco. Instead, you’ll be staying in a bedroom community like Concord or Newark, but you can quickly and easily take the BART from there to San Francisco. When a room in San Francisco will easily cost you $200 or more per night, it’s worth staying a little out of town. How much could you save? A lot! A room for a single person this weekend will cost you just $35 per night in San Diego. The W, not far away, has rooms starting at $170 per night (for the most heavily restricted, prepaid, non-refundable rate) and doesn’t even include parking! If you cashed in points for your stay at the W, you’d pay nearly as much just for parking and taxes as you would for an entire room at the E-Z-8. Budget motels don’t offer frequent guest programs, concierge service or fancy amenities. Some offer watery coffee in the lobby, served in a Styrofoam cup. However, how much of your California vacation do you really want to spend in your room? Get out and enjoy the sun! That’s why you came, isn’t it? You know that you need to pay the Mafia for protection or bad things will happen. Did you know that you need to pay your airline too? In airline industry parlance, “protection” means guaranteeing you transportation to your final destination. It seems like a fairly simple thing–after all, you paid for a ticket–but it’s remarkably easy to find yourself in a situation where you get stranded in a random airport somewhere along the way and nobody will do anything to help you. I first learned about “protection” when, several years ago, Delta protected me through to Athens on an itinerary that they would have broken through a mechanical delay in New York. They also fixed my ticket on the return. What happened? 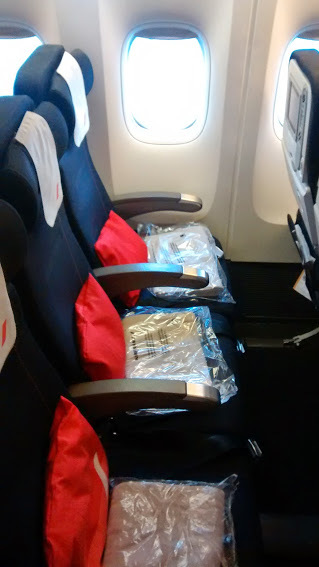 I bought a Delta ticket to Frankfurt, and a separate ticket onward from Frankfurt to Athens. Delta’s delay would have resulted in me missing my flight in Athens. Since the delay was Delta’s fault, they did the right thing and instead transferred me onto their nonstop Athens flight. Additionally, since my onward ticket was invalidated by my failure to show up for the first leg, Delta also re-booked me on their nonstop flight for the return. 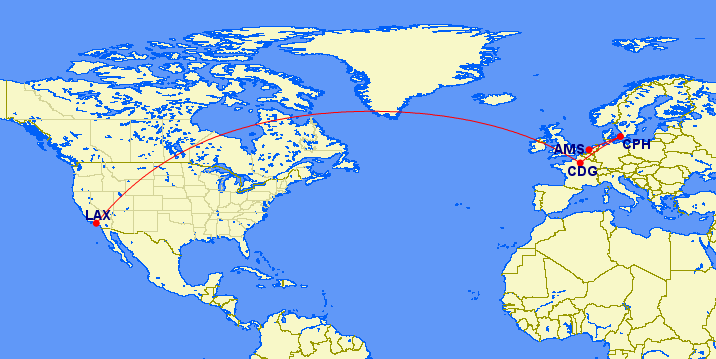 I actually ended up with a much better itinerary as a result, and I was really happy that Delta didn’t dump me in Frankfurt hours late, and left to fend for myself. Delta stranded this poor guy in LA. He won’t get home. The tickets were consolidated into a single itinerary and Delta has a baggage agreement with the connecting carrier (All Nippon Airways) so the guy probably had no idea that he had a completely unprotected itinerary. After all, when he checked in, his bags were tagged all the way to their final destination. The only thing he knew he would need to do was get boarding passes for his connecting flight from the connecting airline, but this isn’t even particularly unusual in Asia. Most airports there have a transfer desk for precisely this reason. Obviously, being a no-show for an international flight, without even having a boarding pass issued, is disastrously expensive. And one might think it’s not entirely reasonable for Delta to completely wash its hands of the problem, given that the flight delay was totally their fault. The flight crew called in sick! They had to find another flight crew. 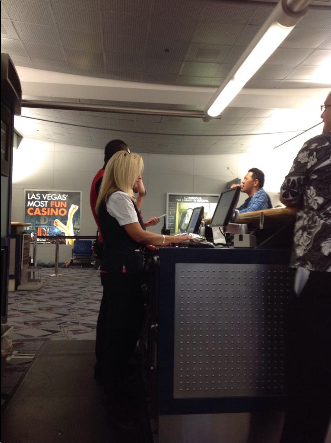 Incredulous, the Japanese visitor–who had every right to expect Delta to solve the problem–politely asked again for Delta to help. He was again rebuffed. This happened a few more times, which is a really big deal in Japanese culture, and finally it became clear: Delta was, in fact, going to just dump him in Los Angeles with no solution, left to solve a problem that they alone created. He wasn’t getting home. When I contrast this to my experience in Japan with a tight connection that was entirely my fault, and how JAL and ANA completely had my back and did everything possible to help me make my flight, it’s truly unbelievable. But that’s the current state of air travel. These days, at least with Delta, your itinerary is only protected if it’s all on a Delta ticket number. It’s not even entirely clear whether it’s possible if there are multiple Delta ticket numbers. If anything goes wrong along the way–even if it’s entirely their fault–you could be left stranded in a strange city and forced to fend for yourself. How can you prevent this sort of problem from happening? For the average consumer, it’s almost hopeless, actually. Travel insurance is often suggested as the catch-all panacea, but most travel insurance won’t cover you in this situation. When you book online, some sites (such as Kayak) will automatically string together itineraries such as these in order to secure the lowest fare. The safest way to at least have a fighting chance is to buy your tickets directly from the airline (either by phone or on their Web site), and to buy simple roundtrip itineraries. Obviously, this isn’t always possible, particularly with complex international itineraries, but if you bought everything directly from the airline you’re flying, you’ll at least have a better chance of success. I am fond of saying that the only thing an airline’s Contract of Carriage actually requires them to do is to eventually transport you to your final destination. However, the definition of “final destination” can now be fuzzy. 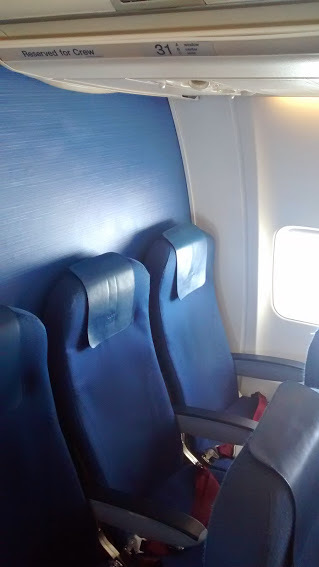 You and the airline may not actually think it is the same thing. Buyer beware!